Offering sandblasting and industrial quality powder coating. 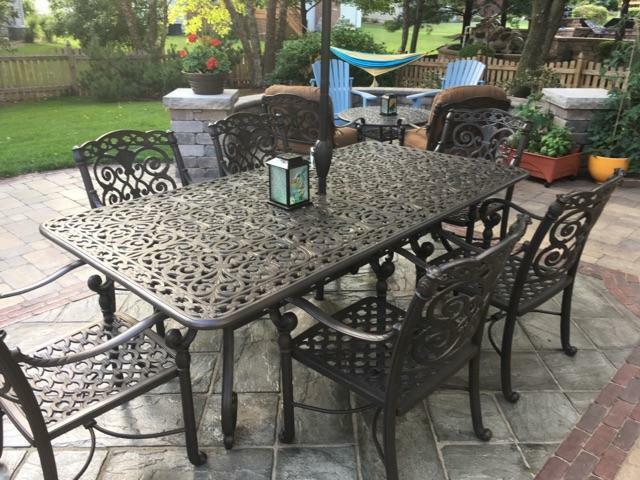 Have Old Looking Patio Furniture? We can restore and bring it back to the beautiful look it had when it was brand new at a surprisingly low price! Perfect Touch Powder Coating offers sandblasting and industrial quality powder coating to clients in the Metropolitan, Midwestern and Great Lakes region of the state of Illinois and beyond. From steel mills and fence companies to homeowners who need lawn furniture, gates, trailers, or car rims coated, we provide high-quality results backed by world-class customer service. Perfect Touch Powder Coating is known for its excellent powder coating services and having a relentless goal to do the best job possible. We have the fastest turnaround time in Illinois, typically same day to 48 hours(except when placing large bulk orders), so you can get your finished product quickly. In addition to excellence, we also aim to be the lowest price. Contact Perfect Touch Powder Coating Today at 815-260-0798!